Visit Virginia’s Blue Ridge (VBR) unveiled a new place marketing campaign, “Be A #Trailsetter” investing over $1 million to attract more visitors to the region. The campaign showcases the mountains of possibilities that visitors and locals alike will discover in Virginia’s Blue Ridge, described as a metro-mountain vacation destination. 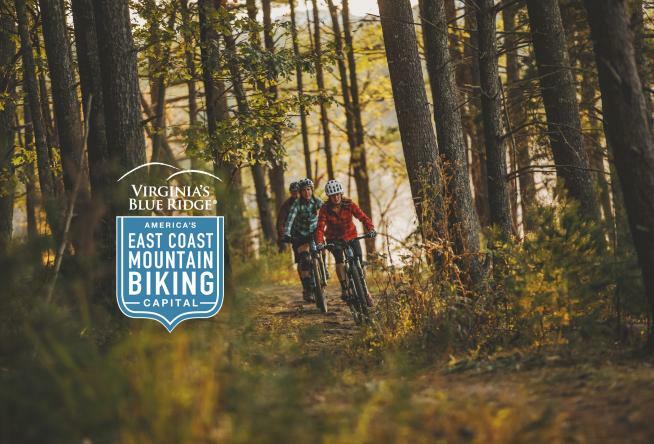 The focus of the marketing campaign is a direct result of Virginia’s Blue Ridge recent designation as a Silver-Level Ride Center by the International Mountain Bicycling Association (IMBA), which elevated the region’s recognition to stake our claim as America’s East Coast Mountain Biking Capital. It was clear from last year’s annual meeting speaker Andrew Davis, author of Town Inc., we needed to stake our claim. Throughout the campaign, Visit Virginia’s Blue Ridge will welcome visitors and locals to hike, pedal, paddle and taste their way through a metro-mountain adventure in America’s East Coast Mountain Biking Capital. 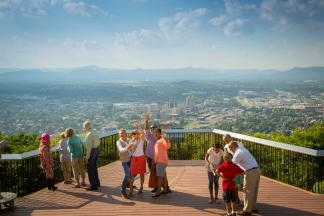 The stunning visual imagery of the campaign will inspire visitors to Be A #Trailsetter. To illustrate this, a landing page has been created to provide an overview of the campaign including a two minute “attention grabbing” video at www.BeATrailsetter.com.